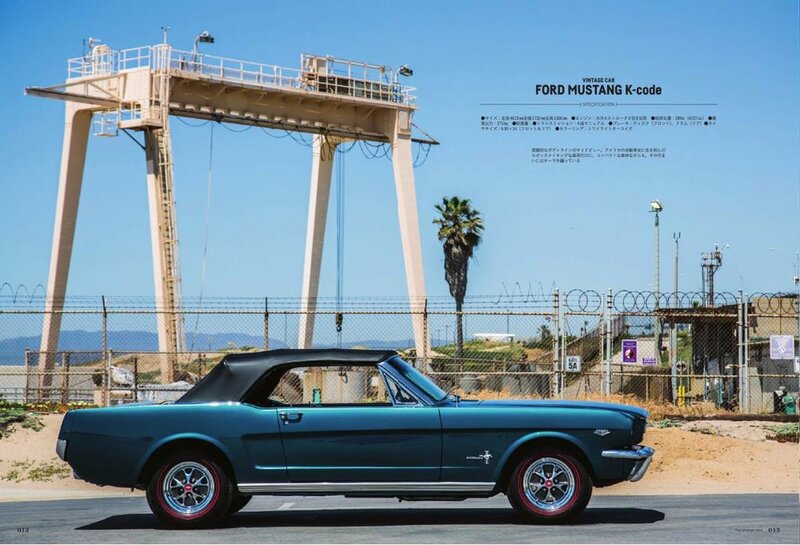 1965 K-CODE MUSTANG — RACING DIVISION, INC.
Every auto brand has its share of remarkable and sometimes rare and historically revered power plants. 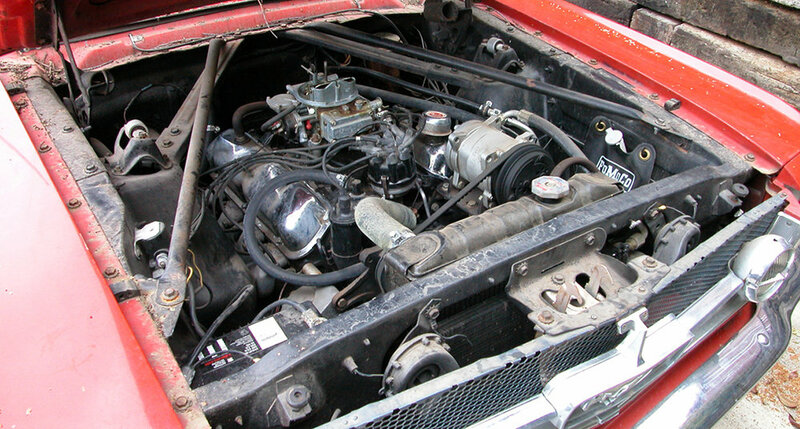 For Ford it is their K-Code 289 cubic-inch Windsor small block (also known as the HiPo 289). It all started in 1962 when Carroll Shelby talked Ford into giving him $25k and a handful of their new truck 260 cubic inch V8s to install into his new Cobra project. Ford quickly saw the value of their lightweight engine as a potential performance power plant soon after, as the Cobra was handily racking up victories against its rivals in SCCA production racing. Between ’62 and ’63, Ford evolved the 260 cubic inch V8 into a multi-variant 289 cubic inch small block, including their high-revving, solid lifter K-Code model. 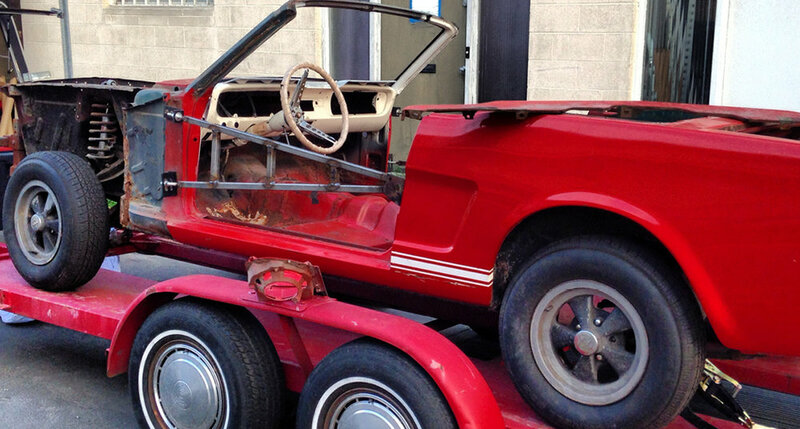 *Ford produced nearly 1.7 million Mustangs from ’64-’67, but only 13,500 of those were HiPo 289-equipped. 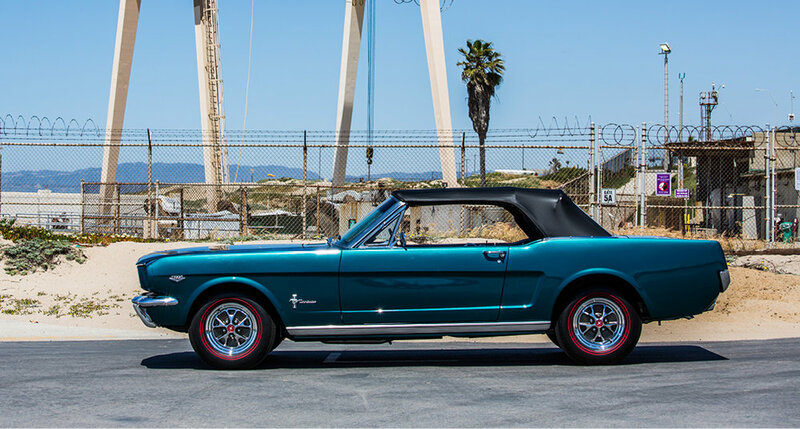 In 1965, the year of my Mustang, only 181 convertibles were produced, and only 5 painted in Twilight Turquoise. 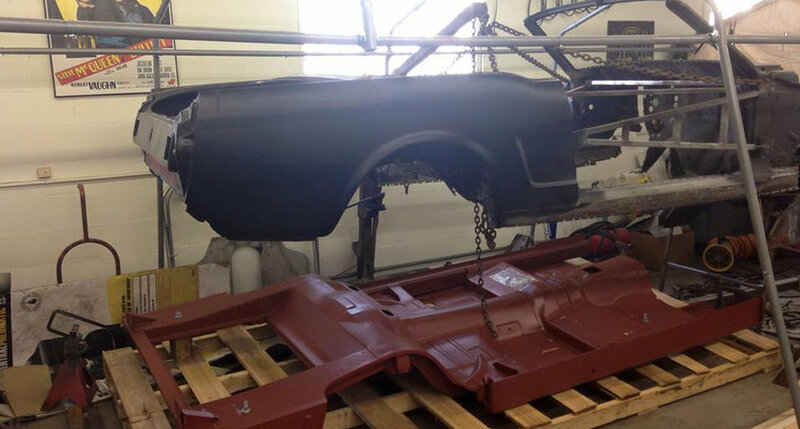 This car was purchased in 2004 and stored until 2010 when we began the restoration. Because this car was built in Dearborn and spent much of its life in Indianapolis IN, it required extensive metal work to bring the car up to concourse standards. All work was done by Racing Division in our El Segundo shop. Download pdf of finished car. For more information and pricing, feel free to contact us today.